Lord Lieutenant of Dyfed present. 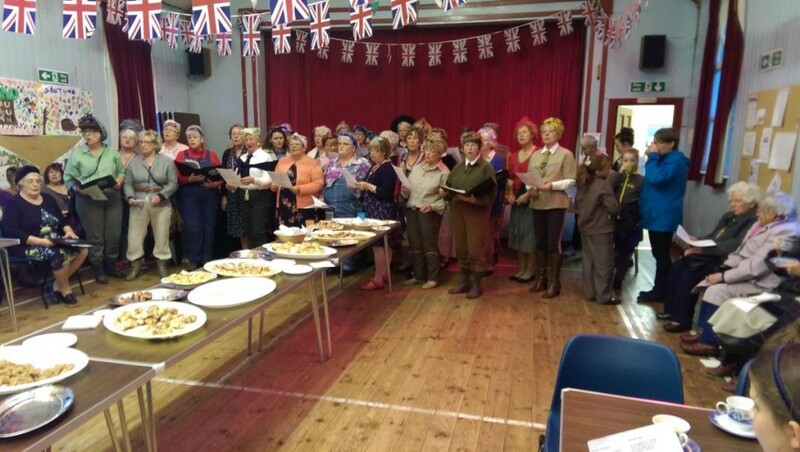 Neyland Ladies choir appeared in period dress and provided sterling support for singing. There was an excellent buffet in church hall afterwards where the choir led wartime songs. 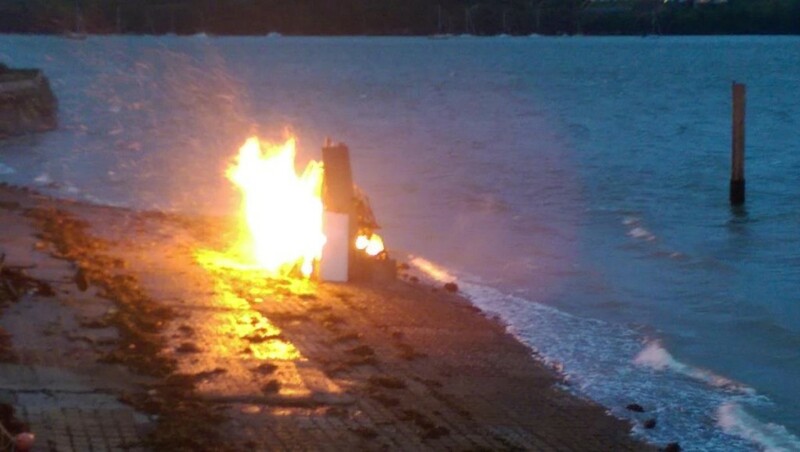 Later a beacon bonfire was lit on the beach near the Yacht Club. This entry was posted in Community news on May 9, 2015 by admin.